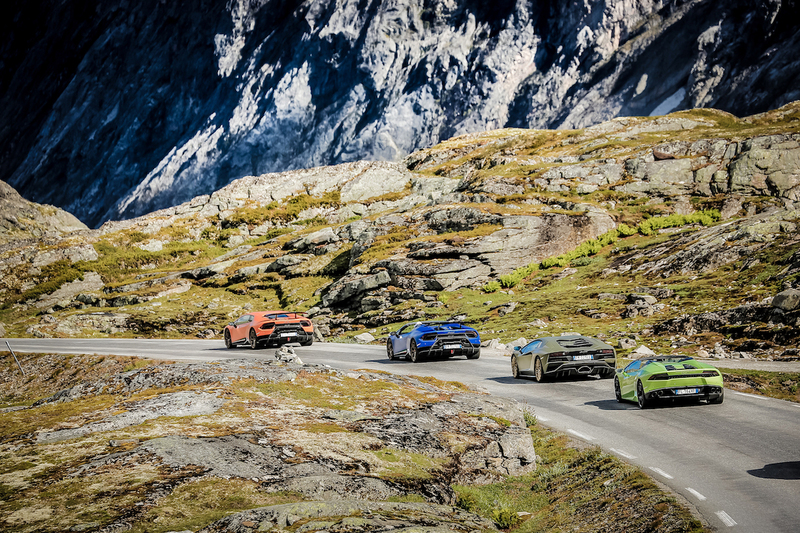 For the past three years, Lamborghini has organized an exclusive tour called Lamborghini Avventura, a search to find the greatest driving routes on Earth. 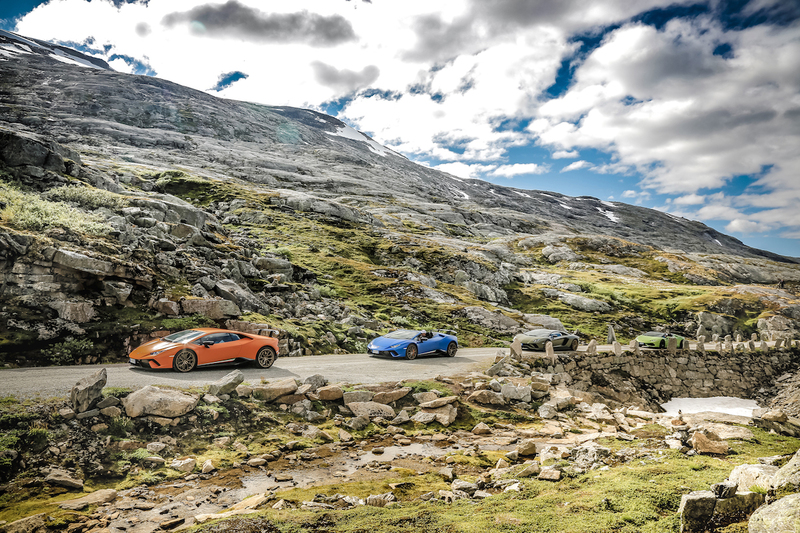 Last year, the supercar company headed to Romania to drive the famous Transfăgărășan, the year before that to Andalusia, Spain to explore the iconic Miura's origins. 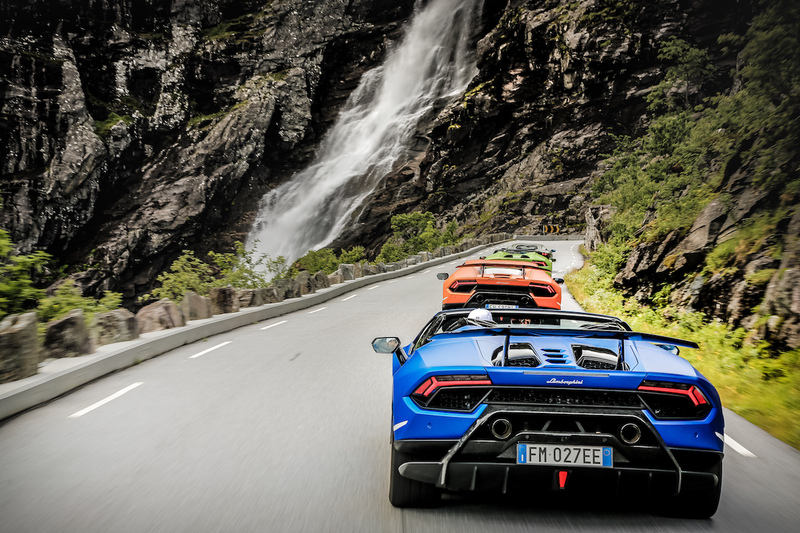 This year, Lamborghini picked Norway for its bucket list-worthy trip, as detailed in a press release Monday. 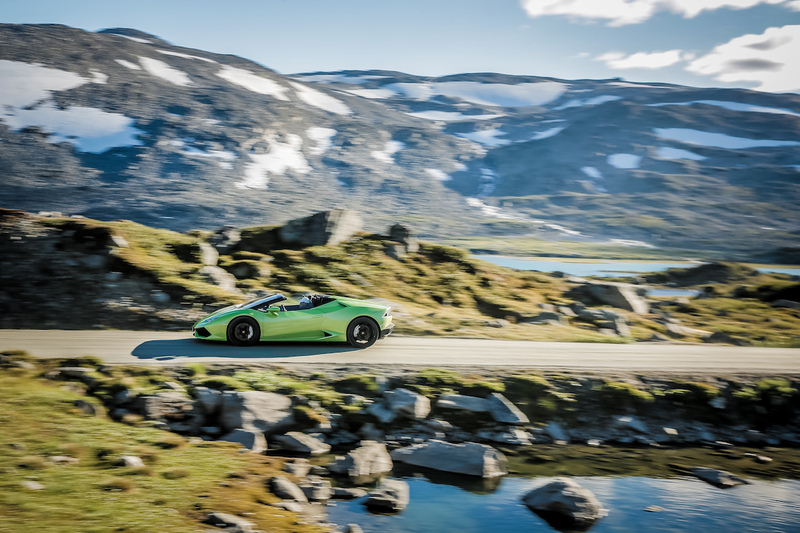 Avventura 2018 saw Lamborghini explore roughly 300 miles of roads along the fjords of Norway. 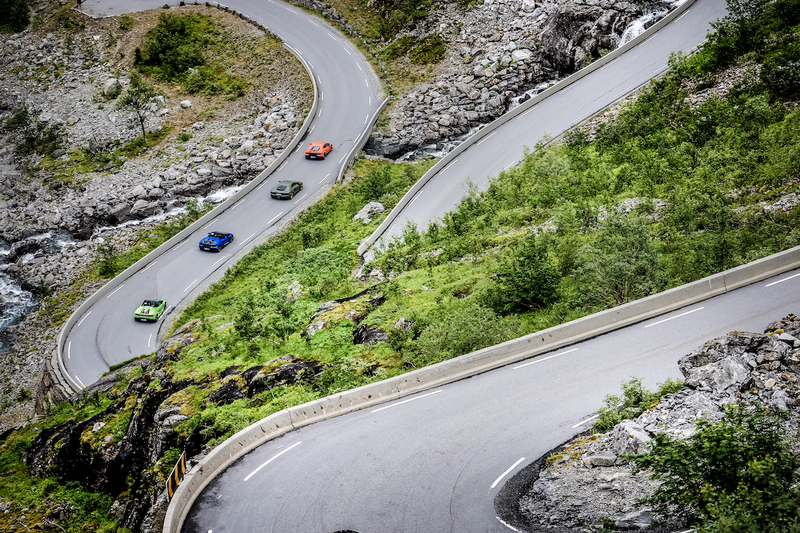 Beginning in the town of Ålesund, the expensive convoy traveled to Trollstigen, known as the road of the Trolls for its deep connections to Norwegian myth. 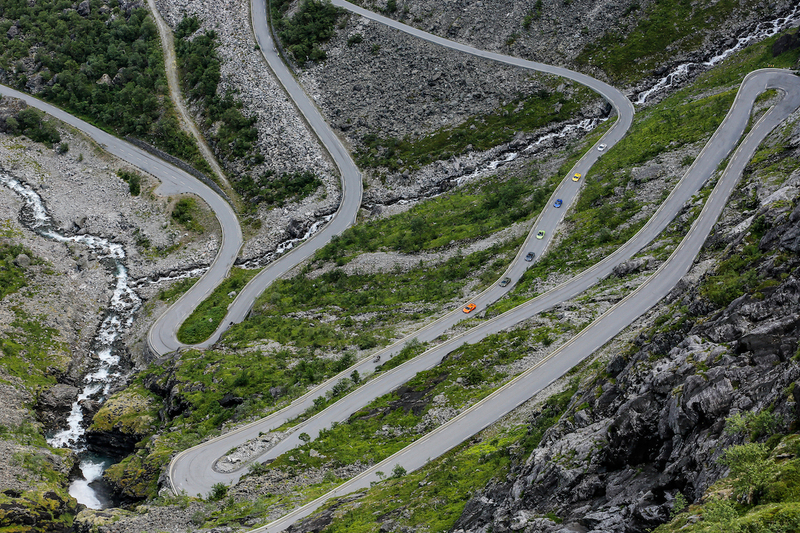 This short stretch of the Norwegian County Road 63 is Norway's Stelvio Pass, featuring 11 hairpin turns that ascend a 10-percent grade all the way to the mountain top. 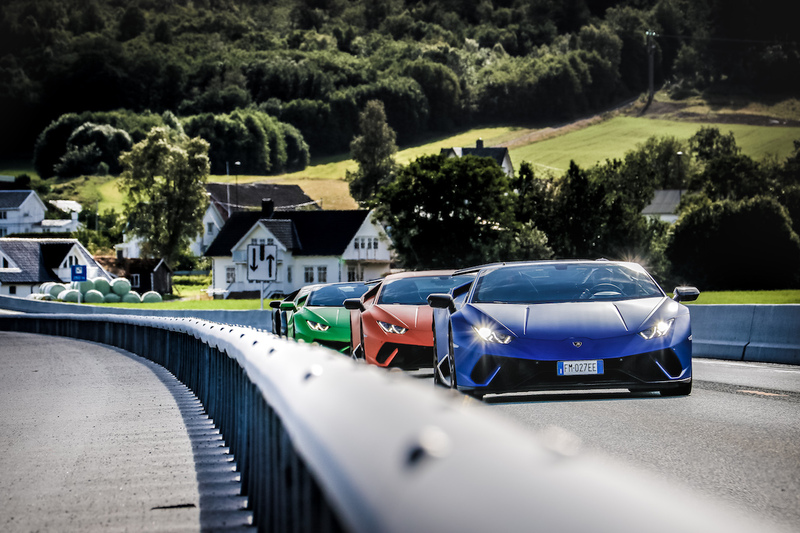 From there, the herd of bulls drove through the valley of the strawberries (Valldal) and the picturesque Geirangersford. 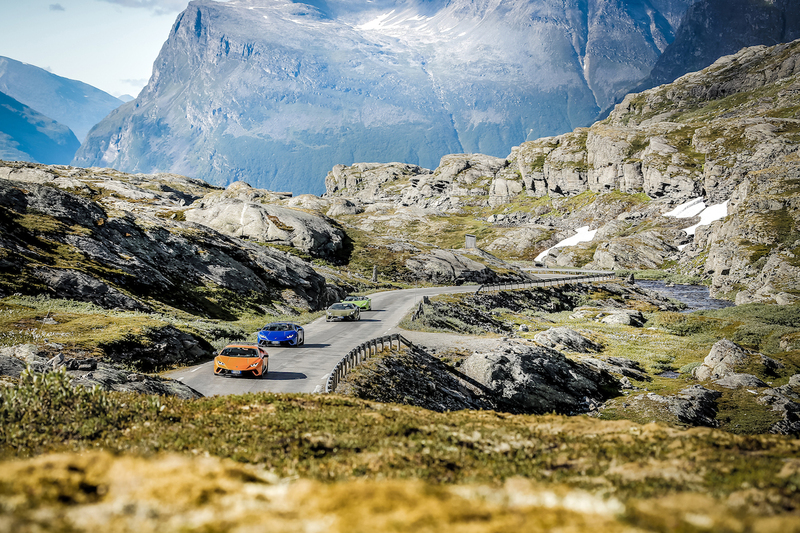 After stopping at Jostedalsbreen, the largest glacier in Europe, the group took a ferry ride from the village of Loen back to Mount Aksla, ending their journey on a peak overlooking the town where they started. 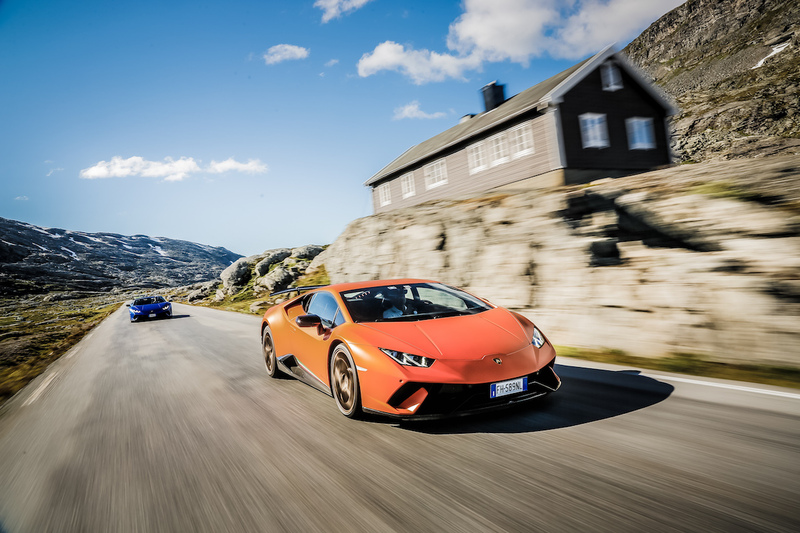 Six Lamborghinis participated in the quest this year, including two Huracán Performante coupes, an Aventador S, an Aventador S Roadster, a Huracán Spyder, and the all-new Huracán Performante Spyder. 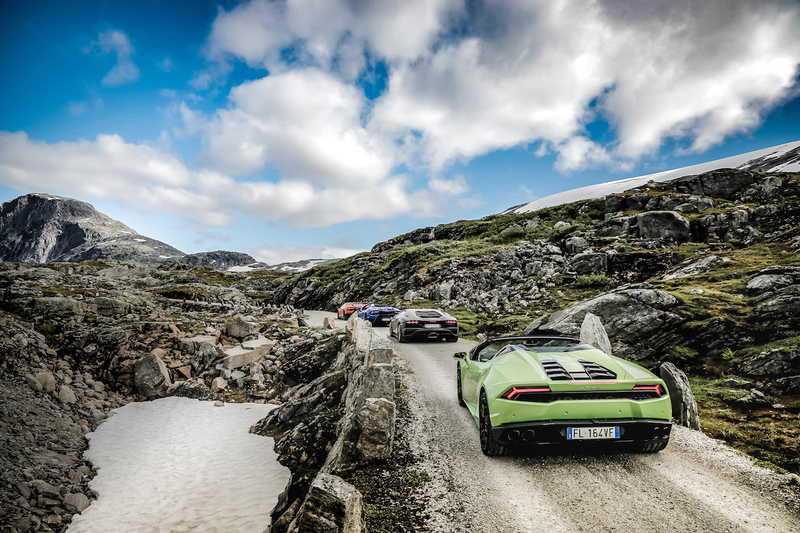 This was a much more colorful cast than last year's Transylvanian excursion, which was exclusively Huracán variants. 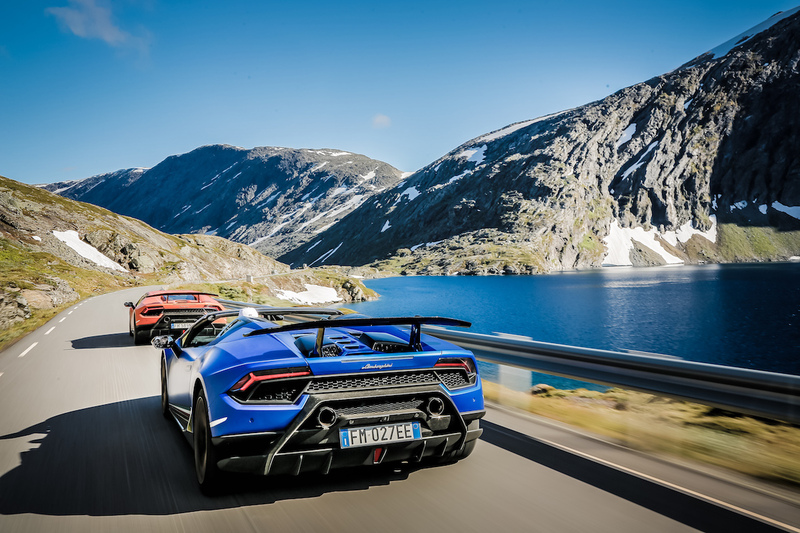 Unfortunately, Lamborghini doesn't say how the Norway trip stacks up to its other adventure drives, but the gallery below should give a pretty good idea of what Avventura 2018 was like. 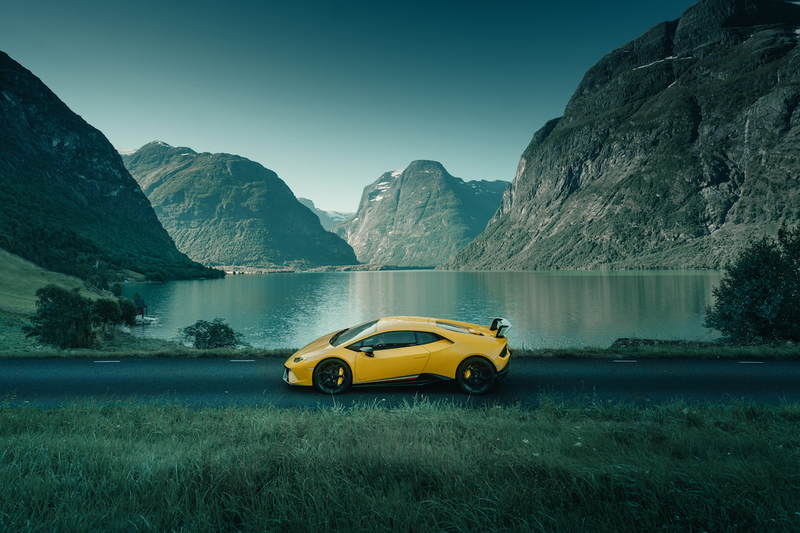 Where should the brand go next? 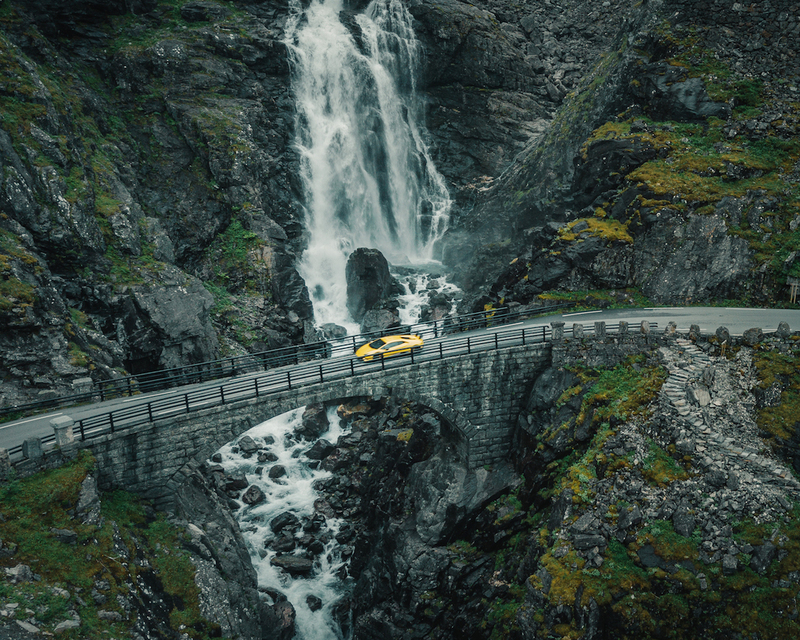 Germany maybe? 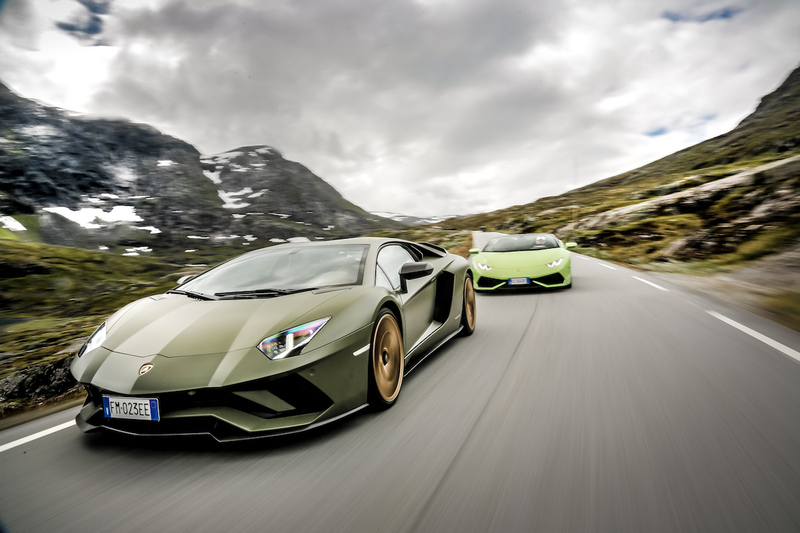 Update: Added official video recap posted by Lamborghini. 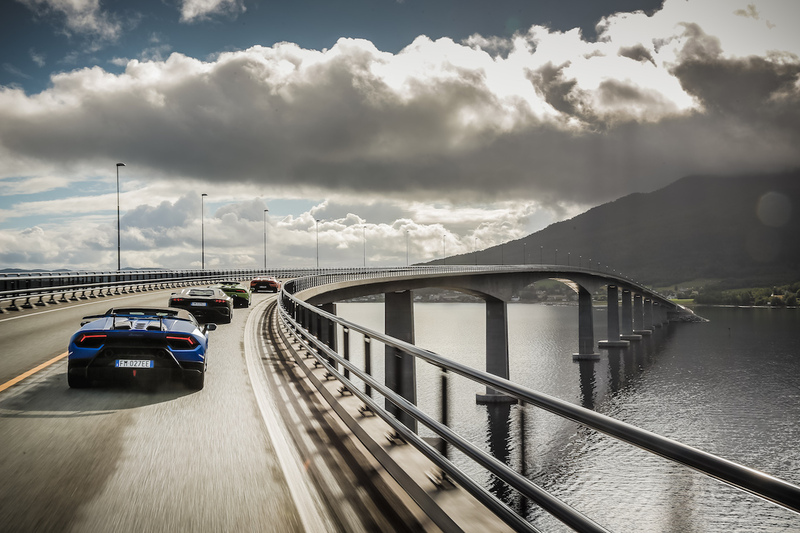 Lamborghini's early grand tourers are celebrating their 50th this year and all collectors are invited to their birthday bash.